The small mammal-trapping event on Portway Hill a couple of weekends ago went really well despite us only catching one Wood Mouse on this occasion. Everyone who attended was given the opportunity to set a trap and a total of 12 Sherman traps and 3 Longworth traps were placed in the vegetation along the track through the old quarry and on the Wildlife Trust site. In each trap we placed a handful of sheep’s wool for bedding, and baited the traps with a mix of seed, cucumber, castors, lettuce and a small piece of cheese. The location of each trap was marked so that when we returned the next morning none of the traps were missed. They were then left in place overnight. At 8am on the Sunday a group of 10 people showed up. Our initial disappointment at not catching anything in the first few traps turned to joy when a trap was retrieved containing a Wood Mouse in pristine condition. We carefully transferred the mouse into a small, transparent lidded bucket which was held up so that everyone could get a good look and take photographs. The mouse obliged by sitting there eating seed that had been transferred from the trap into the bucket with him. Although the bait was missing from two of the other traps on this occasion the trap-doors had failed to close. After safely collecting up all of the traps we headed up the hillside in the direction of the radio masts to look for signs of mammal activity beneath some onduline roofing sheets that had been put down earlier in the year in the hope that any reptiles on the site might find refuge beneath them. 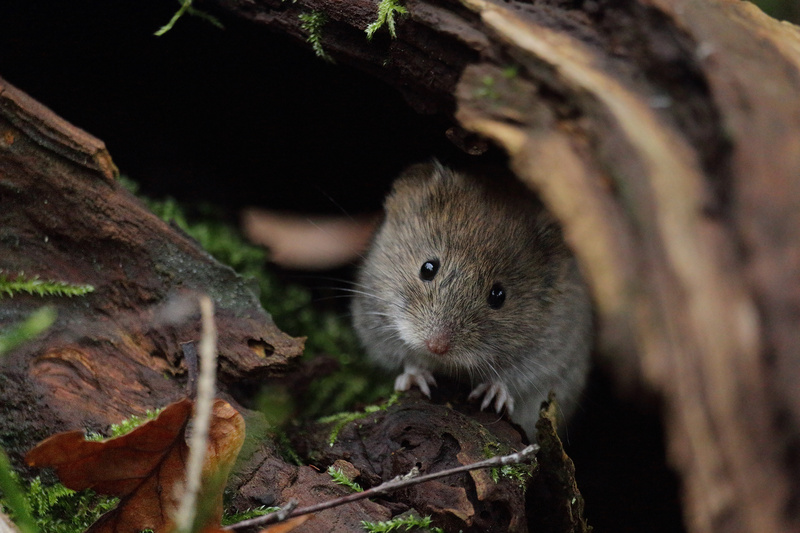 No small mammals were detected beneath any of them but several little woven-grass nests constructed by voles were found. Of the other wildlife we saw over the weekend the biggest surprise was a very late-in-the-season Speckled Wood butterfly, seen on the Saturday flying across the Wildlife Trust land. Buzzard, Kestrel and Sparrowhawk were seen overhead, and despite it being so late in the year, many of the hillside’s wild flowers were still in bloom, including Dog Rose, Yarrow, Burnet Saxifrage, Groundsel, Oxford Ragwort, Common Ragwort, Bush Vetch, Common Cat’s-ear, Tall Mouse-ear Hawkweed, Oxeye Daisy, Common Toadflax, Shepherd’s-purse, Smooth Sow-thistle, Red Campion, Red Clover, Black Knapweed and Weld. The exceptionally dry June and July followed by a mild autumn may have had something to do with this. There has also been a change to the dates of the Wildlife Trust’s volunteer days in December – all the most up to date information is on our Events page so make sure you check there before heading out! Here are a few photos from the mammal trapping event, with thanks to Andy Beaton for taking these. 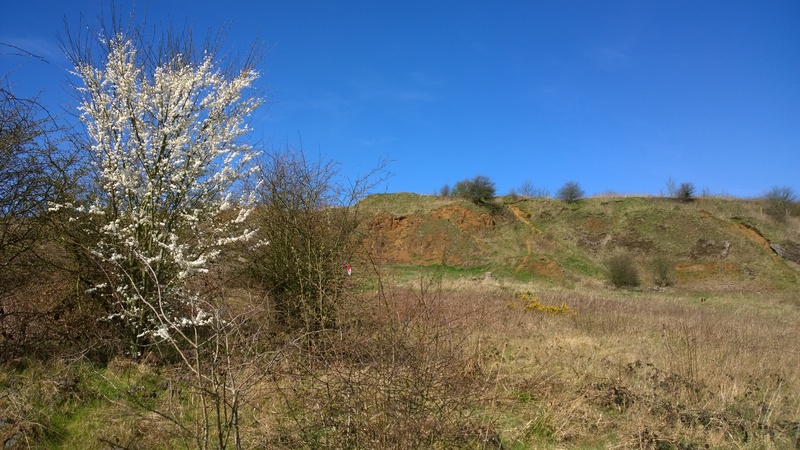 This entry was posted in Events, Nature & conservation and tagged autumn, Black Country, conservation, Friends of Rowley Hills, mammal trapping, mammals, Rowley Hills, surveys, West Midlands, wildflowers, Wildlife Trust, Wood Mouse on November 28, 2018 by janetav. Round-up of recent news from the hills! If you have not managed to come along to any of the events and volunteer days over the last few months you will have missed out on an exciting look into what moth species we have on the hillside, of which the Chinese Character Cilix glaucata was a first spot for me, but all the moths on the hillside were new records for the site – how exciting! The glorious early morning bird walk for International Dawn Chorus day was a great success and we were rewarded with a lovely sunrise with spectacular views and delightful birdsong throughout. We also had another successful and delightful butterfly walk where we were greeted with a kaleidoscope of butterflies on a hot summer day. On one of the volunteer days we popped out some new reptile mats which we have positioned to gauge if there is a population of reptiles on the hillside (no joy yet but still checking). 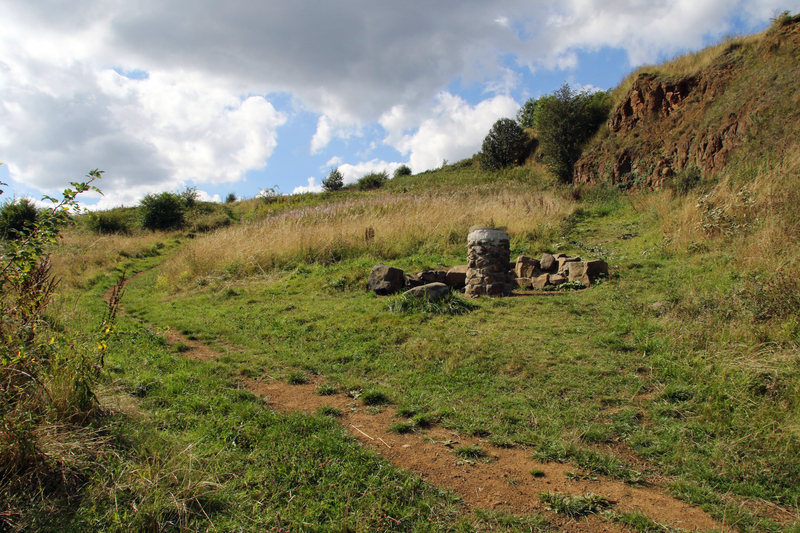 During the regular volunteer days we have worked on opening up some of the public rights of way, re-installing PRoW way markers and tidying up the site when we can. We’ve also been monitoring the meadow in which we found Common Spotted Orchid, which is a first for the hillside, and spreading Harebell and Yellow Rattle seeds as well as introducing Alder and Purging Buckthorn to try and increase these food plants for the Brimstone butterfly. A new replacement interpretation panel has been purchased and is ready to be installed on the cairn on one of the upcoming volunteer days. Myself and Mike Poulton are going to be meeting to sort out doing some small mammal trapping; information about this will be posted on the Friends of Rowley Hills website in due course. If you are interested in getting involved in the surveying of small mammals on the hillside, please email info@bbcwildlife.org.uk. I hope you are all well and thank you all for making such a massive impact on a cracking site. I always look forward to the volunteer days and events on Portway Hill, as the hillside and people have so much to offer. 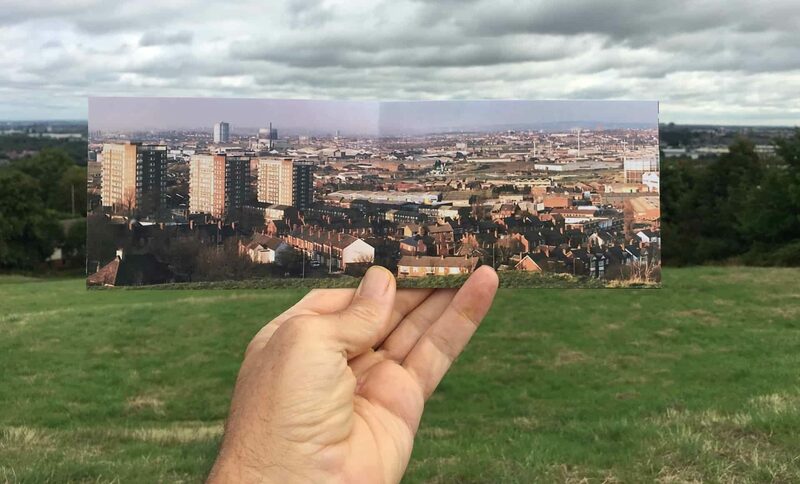 This entry was posted in FORH updates and tagged Black Country, butterflies, conservation, Friends of Rowley Hills, guided walks, moths, plants, Rowley Hills, volunteering, West Midlands, wildflowers, Wildlife Trust on October 29, 2018 by janetav.